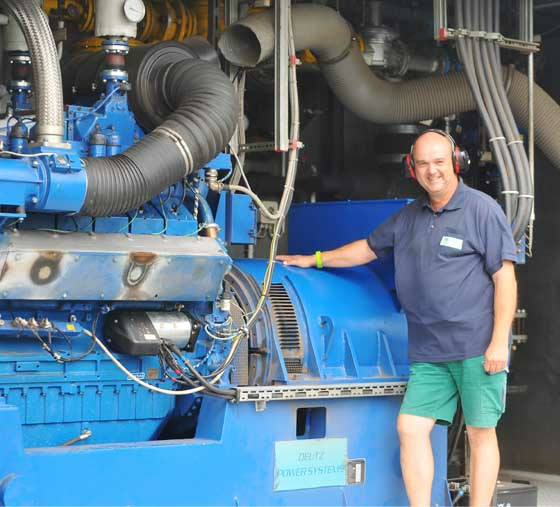 Since the construction of the biogas plant, Mr Strese has faced a new challenge every day. With a utilisation rate of over 97%, he has proven that he can master them all. Among the agricultural enterprises in Thuringia, the Agrargesellschaft Pfiffelbach is already one of the larger. Here in the beautiful Weimarer Land, 85 employees are engaged in the keeping of 900 dairy cows, the rearing of 1600 sows and the cultivation of the surrounding 5000 hectares of agricultural land. When the EEG was passed in 2004 and a future for biogas became apparent, farmers like Gunther Seidel began to think about it. There was enough animal excrement on his farm and with a biogas plant it was possible to create an additional constant source of income for the agricultural society by using a cheap substrate. Milk prices were poor then, as they are now, so it was important to take advantage of the opportunities offered by the EEG. MT Energie from Zeven, one of the pioneers in biogas plant construction, was commissioned to build a plant with a fermenter and a secondary fermenter of 2800 m³ volume each and a gas-tight repository. This plant has been in operation for 10 years now and from an EEG point of view the half-time has been reached. A good time to take stock. “We can be more than satisfied with a capacity utilisation of over 97%”, Gunther Seidel summarises the last 10 years. “The priority recycling of our residues from animal husbandry has been our philosophy right from the start. We then successfully implemented this with a cattle slurry content of over 80 %. In addition, we use 5 % grass silage and 10-15 % maize”, Seidel explains the other feedstocks. “Capacity utilisation has not always been as good as it is today. There were initially many minor difficulties with MWM engines. 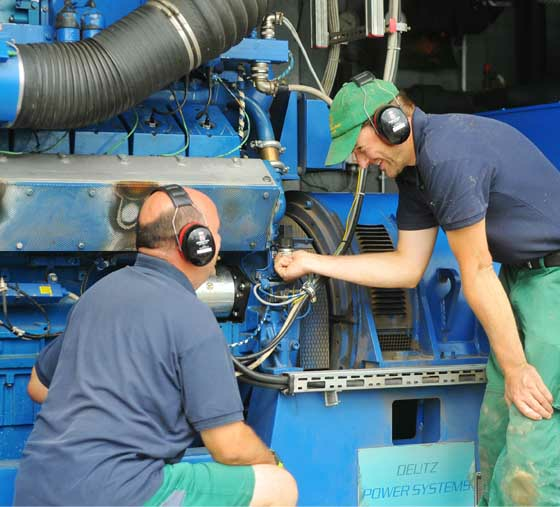 Only through a service contract with MWM in Erfurt did we achieve decisive improvements by setting the maintenance intervals at 1500 hours,” recalls the likeable farmer. Successful biogas plants are characterised by high availability and a successful heating network. This is also the case in Pfiffelbach! Here, the heat generated by the combined heat and power units is of course used to heat the fermenters, but also the piglet rearing, the process water for cleaning the milking technology, the office and social rooms and the grain drying are supplied by this heating network. 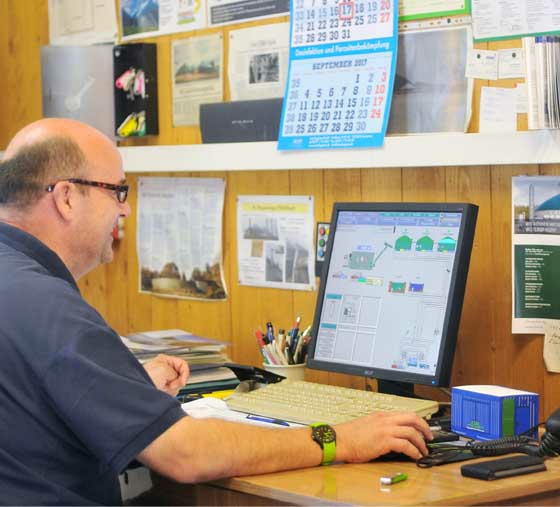 The continuous improvement of the business is close to Gunther Seidel’s heart. The increase in biological and energetic efficiency is important to him, because it is not just a matter of running a business, but of getting better every day. 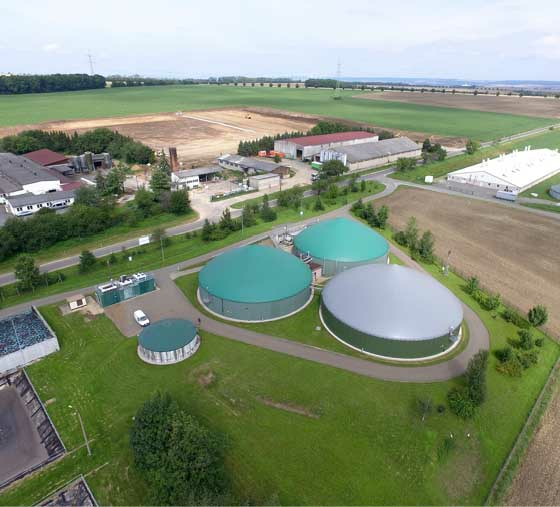 In Pfiffelbach, for example, the company works together with the ATB Potsdam and the German Biomass Research Centre (DBFZ) in the field of the optimal energetic utilisation of the input substrates of a biogas plant. The second half of the EEG will begin in 2018 at the latest. At present, there are no plans to make the plant more flexible, although here in Pfiffelbach in particular the requirements of the EEG 2017 for a low proportion of maize in the substrate are met in exemplary fashion.